With growing pressure on the earth’s resources, Eco-Travel is more relevant than ever, and its importance is only increasing. The world today presents a unique mix of increased means of self-expression and eco-friendly awareness. These social and environmental trends have led global travellers to take greater ownership of both the makeup and impact of their travel habits. According to the Center For Responsible Travel (CREST) “96% of Condé Nast Traveller readers think hotels and resorts should be responsible for protecting the environment they operate in. With 74.5% saying a hotel's environmental policies influence their decision to stay there”. The United Nations (UN) General Assembly has marked 2017 as the International Year of Sustainable Tourism for Development. In essence, travellers are seeking a deeper appreciation for the world we live in. Now more than ever before tourism is a journey to “greater awareness of the rich heritage of various civilizations “ says the UNWTO, "offering an appreciation of the inherent values of different cultures, thereby contributing to the strengthening of peace in the world”. The impetus is therefore no longer left with travel agents to cookie-cut holiday experiences for travellers. Our globalized world provides us with so many opportunities to express ourselves through our online personas, and as a result people are looking to express their opinions and passions through all aspects of their lives, including their global travels. Ker & Downey Africa, an adventure travel company that focuses on providing experiential travel experiences for guests from around the world have responded to this desire by taking on an incredibly hands on approach to planning trips for their clients. Lee, Ker & Downey Africa’s CEO says, “Travel experiences have become yet another extension of people’s self expression. They care about the impact of their travels, they want to connect with the destinations they visit and know that their footprint is a small and positive one. This travel concept allows you to trek on foot through wild areas, with a team of rangers. Not only does this reduce carbon emissions as a result of eliminating the need for a safari vehicle, but the mobile campsites which are set up every evening are solar powered. These travellers thereby do not leave any impact on the area travelled through. 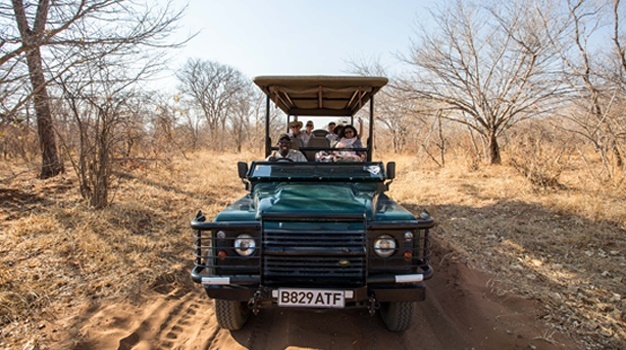 Other examples include mokoro and horseback safaris through the Okavango Delta and opting to walk long routes such as the Otter Trail in South Africa, as opposed to defaulting to travel by carbon emitting modes of transport. Further up the supply chain, lodges are responding to the eco-travel call through creating eco-friendly infrastructure, something that requires major capital investment which would not be embarked upon if the demand in the market weren’t there. So what does incredible eco-friendly infrastructure look like? 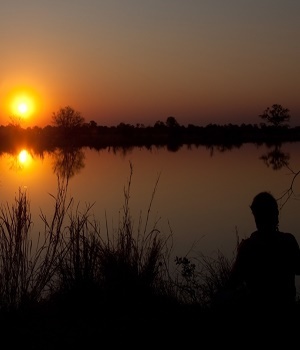 In Botswana you can opt for an electric safari vehicle or boat. 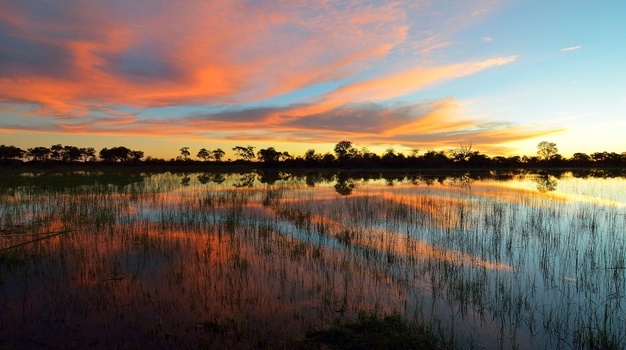 Chobe Game Lodge have saved a combined 38,045kg of CO2 emissions. 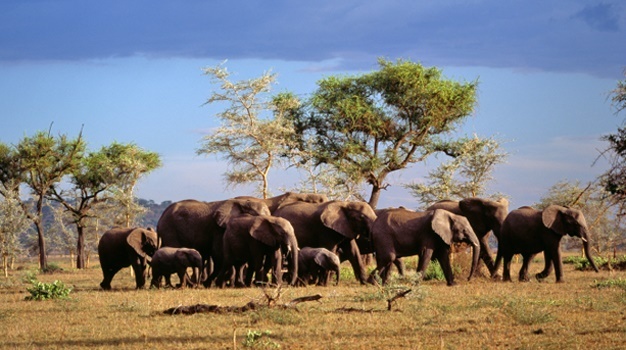 Added examples include an eco-lodge in the Ngorongoro Conservation Area in Tanzania that operates solely on solar power and wood burning stoves. You cannot get more eco-friendly than the wooden huts at the summit of the Nyiragongo volcano in the Congo. Travel companies and accommodation providers in the world’s top travel destinations have long since promoted their eco-friendly stance, but the growing importance of eco-travel, and the increasing demand for treading lightly means that the eco-friendly stance now has to be backed up by real long term investments into eco-friendly infrastructure.